FAYETTEVILLE, Ark. (AP) — Arkansas gave a rousing welcome to Eric Musselman, welcoming its new men's basketball coach with a Monday pep rally at Bud Walton Arena. ATLANTA (AP) — Rapper T.I. is paying a $300 fine after pleading no contest to violating a local law in Georgia that prohibits public cursing. NEW YORK (AP) — Cardi B, Chance the Rapper and T.I. will work as judges in a new Netflix competition series looking for the next big hip-hop star. Netflix announced that "Rhythm + Flow " will debut next fall. John Legend, who has won Emmy and Tony awards for his producing efforts, is one of the series' executive producers. MCDONOUGH, Ga. (AP) — Prosecutors have dropped a simple assault charge against rapper T.I. but are moving ahead with charges of public drunkenness and disorderly conduct stemming from his May arrest outside his Atlanta-area home. The Atlanta Journal-Constitution reports T.I. faces the misdemeanor charges in Henry County court. ATLANTA (AP) — A Melania Trump spokeswoman is asking people to boycott Atlanta rapper T.I. because of his promotional album video that shows a woman resembling the first lady stripping in the oval office. WXIA-TV reports that Trump's communications director, Stephanie Grisham, tweeted Saturday asking how the video was acceptable. ATLANTA (AP) — Rapper T.I. took a stroll through one of the toughest neighborhoods in Atlanta as children on school buses screamed his name, several motorists honked their horns and men asked for a selfie. MCDONOUGH, Ga. (AP) — Prosecutors this month charged rapper T.I. with simple assault, public drunkenness and disorderly conduct following an altercation outside his Atlanta area home in May. News outlets report the charges stem from T.I. 's May 16 arrest outside of his gated community in Stockbridge. 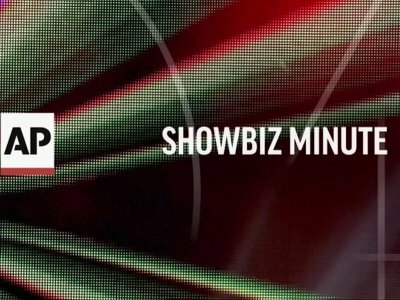 ShowBiz Minute: Royal Wedding, Kidder, T.I. 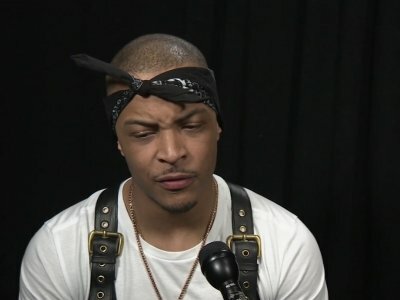 ATLANTA (AP) — A security guard said he felt threatened during an argument with the rapper T.I. that led to the Grammy-winning hip-hop artist's arrest outside his gated community near Atlanta. Police say rapper T.I. used a loud voice with an officer before being arrested outside his gated community near Atlanta. A Henry County Police report states that an officer smelled an "overwhelming" amount of alcohol on T.I. 's breath. The report says the rapper's eyes were bloodshot and glassy, and that he appeared aggravated when the officer spoke to him. Rapper T.I. 's attorney says his client was "wrongfully arrested" outside his gated community on disorderly conduct, public drunkenness and simple assault charges. Rapper T.I. calls marching in honor of the Rev. Martin Luther King Jr. a "blessing." The Grammy-winning rapper was among the thousands to join King's relatives, including daughter the Rev. Bernice King and son Martin Luther King III, in an Atlanta march Monday. Austin, Texas Even as the city it helped turn into a hipster mecca continues to grow at an astounding, blundering rate, the South by Southwest Music Conference somehow has turned more sedate, manageable, indie-spirited. And way better. ATLANTA (AP) — Rapper T.I. spent Christmas Eve spreading holiday cheer among some single mothers, helping them with their last-minute shopping for gifts. In a video T.I. posted on social media, the Grammy-winning artist entered an Atlanta-area Target on Sunday and called for all single mothers present to follow him. He strolled through the store alongside several mothers, went to the cash register with them and then paid for their Christmas presents. ATLANTA (AP) — Rapper T.I. says he only plans to release about two or three more albums. He told The Associated Press in a recent interview that he expects to release an album revolving around "trap music" this year. He's released nine full-length albums so far, and says he has "two or three albums left in him." The 36-year-old added: "But it's definitely time to transition." AUSTIN, Texas -- CNN caught up with Tip "T.I." Harris at the SXSW festival last month, where the Grammy-winning rapper and actor premiered his latest passion project, "Us or Else" --- a short film that examines the relationship between police and the black community. "Police brutality is really just a tentacle to a larger problem --- the racial divide and the systemic racism that goes on from the highest of highs to the lowest of the low of society in America," T.I. told CNN. 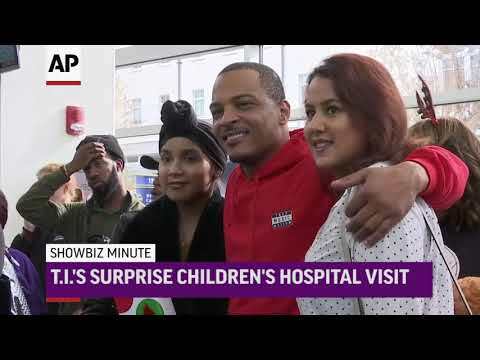 NEW YORK (AP) — Rapper T.I. has no plans to ever run for public office, but he said he wants to make a difference in underserved communities through activism and music. The Atlanta-based artist spoke about affecting positive change in his community while backstage at the Rock and Roll of Fame induction ceremony earlier this month in New York. The rapper performed in honor of the late Tupac Shakur after Snoop Dogg inducted him into the Rock Hall. Fans at either end of the musical spectrum are in for a treat today as rapper T.I. and country singer Jason Aldean have announced upcoming shows in Spokane. On the “Hustle Gang” tour, Tip “T.I.” Harris will introduce audiences to VP Trae Tha Truth, RaRA, Yung Brooke, Tokyo, Jetz and London Jae, all artists the rapper has signed to his Grand Hustle Records. The show comes to the Knitting Factory May 27. Tickets are $39.50 in advance and $40 the day of the show. Did we peak with Bon Jovi? We've been asking ourselves that since last weekend's front-page story by reporter Tom Weber on the 30th anniversary of that legendary show in the then-brand new Taylor Arena at Mayo Civic Center. It's a rockin' tale of subterfuge, youthful enthusiasm and robbing Duluth of a headlining act. ATLANTA (AP) — The New England Patriots have the Super Bowl history and experience going for them Sunday, but they can't compete with the Atlanta Falcons when it comes to an entourage of celebrity fans. The Falcons have been known for having fickle fans who abandon the team when it struggles, but this season, the sidelines have been overflowing with rappers, actors and athletes from other sports . Rapper Azealia Banks has launched another social media beef, and this time her target is Rihanna. Banks called out the Barbados-born Rihanna after the singer tweeted : "Disgusted! The news is devastating! America is being ruined right before our eyes!" The tweet was a response to President Donald Trump's order to temporarily suspend immigration from seven Muslim majority nations. NEW YORK (AP) — A judge has revoked bail for a hip-hop podcast host arrested in connection with a New York City concert venue shooting that left a rapper's bodyguard dead. A Manhattan federal court judge on Wednesday stripped away the $500,000 bail granted Tuesday to Daryl Campbell, also known as Taxstone. NEW YORK (AP) — A hip-hop podcast host arrested in connection with a concert venue shooting that left a rapper's bodyguard dead and three other people wounded is a killer and a danger to the community unworthy of bail, a prosecutor said on Tuesday. Daryl Campbell, also known as Taxstone, was arrested Monday on a federal weapons possession charge stemming from the May shooting at Irving Plaza in Manhattan just before rapper T.I. was to perform. A prosecutor says a hip-hop podcast host arrested in connection with a New York City concert venue shooting that left a rapper's bodyguard dead is a killer and a danger to the community unworthy of bail. NEW YORK (AP) — Police have arrested a second man in connection with a fatal shooting at a popular Manhattan concert venue. Authorities say 31-year-old Daryl Campbell, of Brooklyn, was arrested Monday on a charge of criminal possession of a weapon. The May 25 shooting at Irving Plaza occurred just before the rapper T.I. was to perform. ATLANTA (AP) — Tameka 'Tiny' Harris, wife of rapper T.I., has filed for divorce from the hip-hop entertainer. Henry County Court records show Harris filed for divorce after six years of marriage with the 36-year-old rapper, whose real name is Clifford Harris Jr. Tameka Harris was a member of the defunct 90's multi-platinum R&B group Xscape. She also won a Grammy Award in 2000 for co-writing TLC's hit single "No Scrubs." Records show the 41-year-old singer filed for divorce Dec. 7. NEW YORK (AP) — It seems like a contradiction in terms, but the SiriusXM satellite radio network is launching a talk channel devoted to music. Volume, a mix of talk shows, interviews and even a quiz show, will debut Oct. 17. Lady Gaga, Robert Plant, David Crosby and T.I. will be among the musician guests during the channel's first week on the air. It seems odd to describe the discussion of the black experience in America a "hot topic" — after all, the examination of the African-American experience has been explored for hundreds of years in some fashion, even before black people were considered Americans and were just considered property. ATLANTA (AP) — Snoop Dogg, known for his ultra-smooth West Coast swagger and rap style, will be honored with the "I Am Hip Hop" award at the 11th annual BET Hip-Hop Awards. BET said Tuesday that Snoop Dogg will receive the award Saturday during the taped event at the Cobb Energy Performing Centre near Atlanta. The show will air on BET on Oct. 4. STATESBORO, Ga. (AP) — Police say rapper Young Dro was arrested on gun and drug charges before a concert at a southeast Georgia college. The Roots, Dave Chappelle and Diddy were in the audience when Anderson .Paak performed in late June at the Ace Hotel in Los Angeles, as befits one of the biggest buzz acts of the year. When T.I. dropped a new track produced by Dr. Dre in May, Peter Parker was immediately on top of it. He downloaded the song himself, uploaded it into the Go 95.3 FM database, got on the microphone and hyped it, then pressed the button to make Twin Cities radio listeners some of the first in the country to hear the song. NEW YORK (AP) — A Brooklyn rapper charged in connection with a fatal shooting at a popular Manhattan concert venue in May has been released on bail. 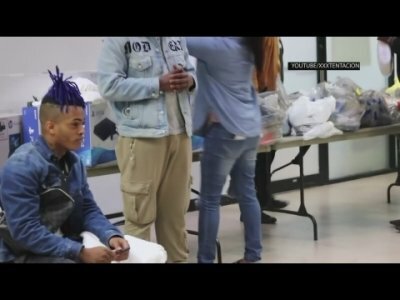 LOS ANGELES (AP) — In the days after the shooting deaths of two black men by police, celebrities are doing more than just expressing frustration. They're demanding action, and in some cases, leading it.